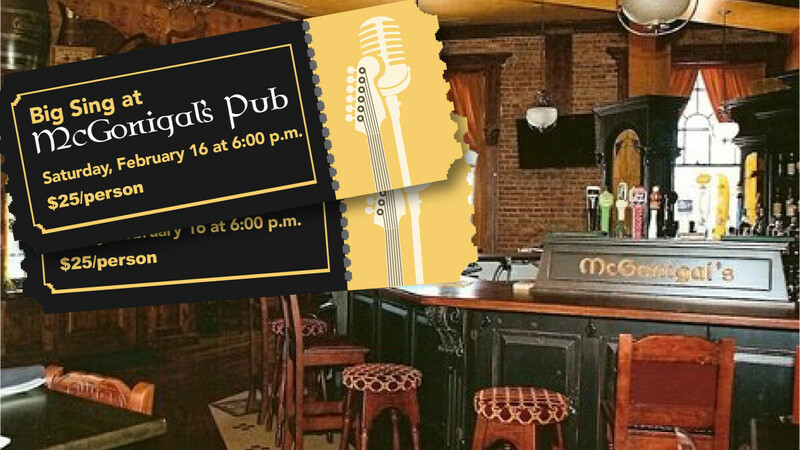 Barrington United Methodist Church, First United Methodist Church of West Dundee and Salem United Methodist Church join together for the first Big Sing at McGonigal’s Pub. A children’s program will be available from 6:00 to 8:30 p.m. at Salem (111 W. Lincoln Ave., Barrington) for parents wishing to attend the event. Space is limited, so make your plans now, buy your tickets and attend this rollicking musical evening. You can sing or kick back and listen. And, or course, there is an appetizer buffet that eats like a meal.